Using the BaconBoss™ microwave bacon cooker is easy as 1, 2, 3. Just load it, crank it, and cook it and you are on your way to flat, crispy, juicy bacon with less fat and less grease. The Tempered Glass Lid with Rotating Handle Cranks Bacon Flat So It Doesn’t Shrink. 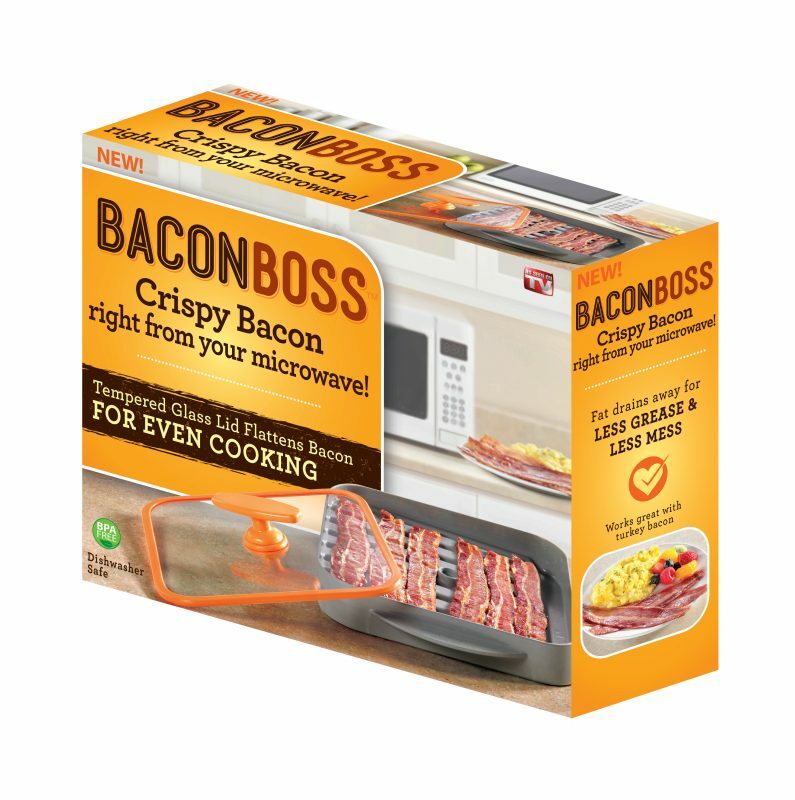 The BaconBoss™ microwave bacon cooker traps and re-circulates heat for even cooking and goes from the microwave to the Dishwasher for easy cleaning.